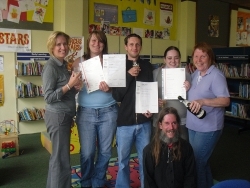 Good day for our students when many passed their English exams, Entry level 3 to level 2 classes held regularly on a Thursday 1pm to 3pm course provider WEA and Tutor Emma Camp. We have a wide age group of students from 16 to 80. 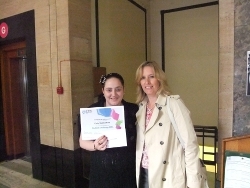 Many students have achieved E3 level also Level 2 math's qualifications provider Sheffield College Tutor Maddy Fox. As the name suggests, participants have to read six books. Sheffield libraries are very well regarded nationally. Selected libraries in the city have a stock of very 'easy reads' and all libraries have short novels known as quick reads. our staff and tutors encourage all our English and Math's students to join the scheme. In fact we encourage everyone to join and use the library and all it has to offer. 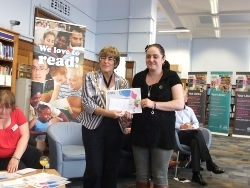 Everyone joining the scheme receives a diary and those that finish were invited to an award ceremony in the central library. Over 100 people achieved their awards. These were presented by the Lord Mayor Councillor Dr Sylvia Dunkley. This event was enjoyed by everyone who attended. Galsworthy TARA have a new committee. They run successful trips to various places, enjoyed by all. Trips to Whitby and Blackpool are next. For more information please phone 07748558423 or 2213944. It was a prestigious day for Southey Development Forum in conjunction with Sheffield Libraries, when on the 4th June 2010; the Southey Learning Suite was officially opened by the Lord Mayor Councilor Alan Law JP. 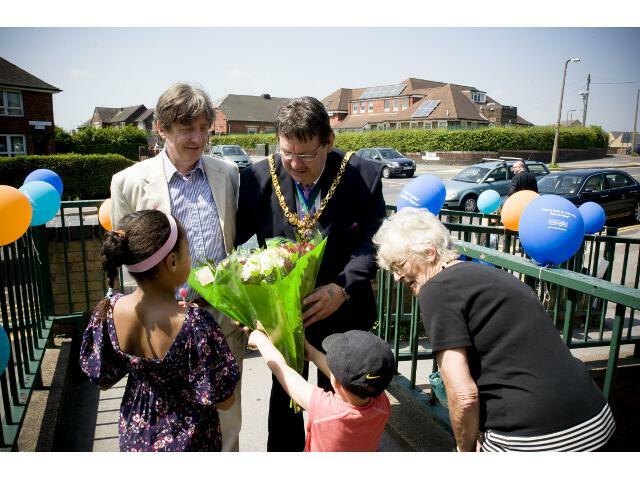 The children were very excited at the prospect of meeting the Lord Mayor, as they had never met a Lord Mayor. A buffet was laid on this was enjoyed by all. There were many activities for the children including craft sessions, a bouncy castle and face painting.